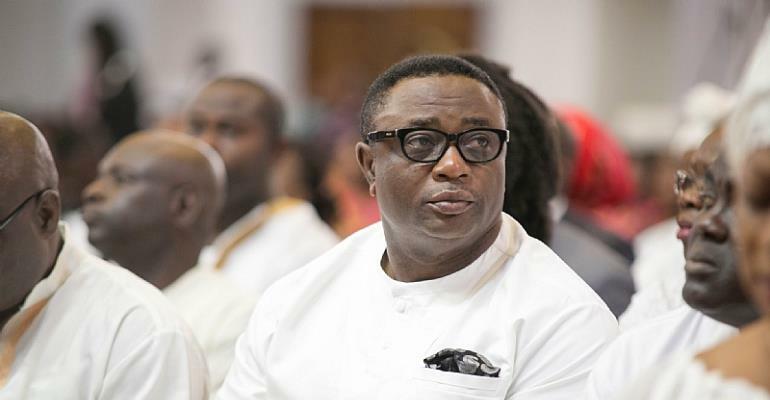 The Director of Elections of the opposition National Democratic Congress (NDC) Elvis Afriyie Ankrah has questioned the intransigent attitude of the Electoral Commission(EC) in taking major decisions in advancing Ghana’s democracy. A Deputy Chairman of the Electoral Commission(EC), Dr. Bossman Asare has told the NDC that the Commission does not need its consent or opinion before a new voters register can be compiled. The main opposition NDC has rejected the proposal by the Electoral Commission to compile a new voters register for the 2020 elections. The Electoral Commission has served notice a new voters’ register will be compiled ahead of the 2020 presidential and parliamentary elections. The Electoral Management Body is currently inspecting offices of political parties, according to a press statement after an Inter-Party Advisory Committee (IPAC) meeting Wednesday. After meeting stakeholders over the issue, the EC said a new register will be used for the next general elections. But the NDC has served notice that it will resist any attempt by the EC to push the idea of a new register since there are not enough grounds for the creation of a new one. But speaking on Anopa Kasapa on Kasapa FM Thursday, Dr. Bossman Asare stated that no political party’s view can hold sway over the EC’s decision to compile a new voters register. “The constitution has clearly defined our functions if the EC wants to compile new voters register we don’t need the consent or otherwise of the political parties before we do so. Sometimes it’s just nice that the EC discusses some of these issues with the political parties but their views are never binding on the EC,” He told host Kwaku Owusu Adjei. However, Hon. Elvis Afriyie Ankrah stated this attitude of the EC is problematic.